The date is Thursday 11.02.2016 and it’s 4am. The reason I’m up this early on a freezing February morning? I’m off to Amsterdam to see the launch of the Sony A6300 and the new G Master Lens range, consisting of the Sony FE 24-70mm f2.8 GM, the Sony FE 85mm f1.4 GM, and the Sony FE 70-200mm f2.8 GM OSS. Finally Sony has answered our plea and made the f2.8 lenses, an 85mm, and a replacement for the outstanding Sony A6000, but are they any good? I arrive at Heathrow for my 06:50 flight to Amsterdam, bright-eyed and bushy-tailed and ready for what Sony has in store. After the obligatory wait, mad scramble for the plane that we all had pre-booked seats on, and a very British and efficient flight by BA, I landed in Schiphol Airport to be greeted by Sam from Sony and 4 colleagues from other camera retailers, to be then whisked off to Sony’s office just outside the airport. After a meet and greet and light brunch buffet, the conference began. The VP from Sony addressed us first, with a very energetic and vibrant performance that set up the whole reason myself and 40 other people were here. 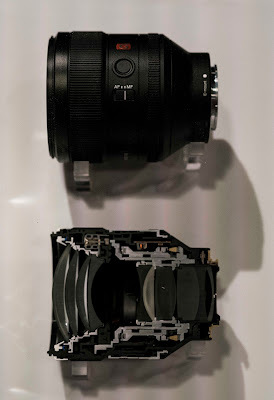 He was very happy to introduce the A6300 and Sony G Master Series Lenses, and was shortly followed by another high-ranking Sony executive that explained the company’s place in the market - No.1 in Mirrorless - but just being pipped to the post by the old masters of Nikon and Canon in the full frame section. But times are changing. 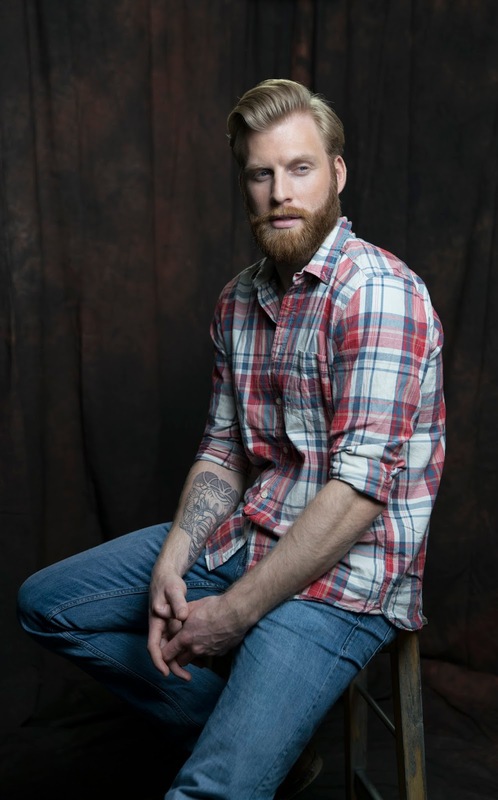 The growth he highlighted in the last year was very impressive for a company that had always lagged behind the big two in terms of professional camera equipment. Sony’s place in the video market was always safe, but now they are knocking, very loudly, on the Full Frame door - and some of you have even let them in! So, on to our third speaker, Yumo-san, who was the main attraction, and the man with all the answers and knowledge. He proudly introduced the new products with glee, firing off a showcase of very professionally shot images and videos, and flexing the strength of each item; breathtaking images shown pixel-sharp on a massive Sony 4K TV, and wondrous videos created to entice and inspire, and to be honest, it was working. Finally after rapturous applause, and a quick, but well stocked lunch, it was on to the hands on session. 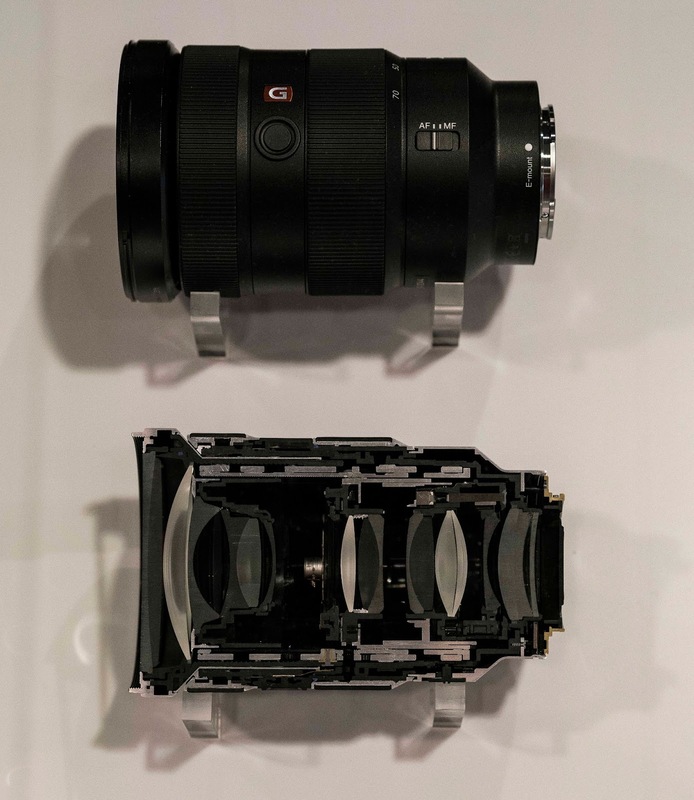 Straight off, the Sony A6300 looks very similar to the A6000 in size, weight, and configuration. Almost exactly, but it’s on the inside that it has changed. 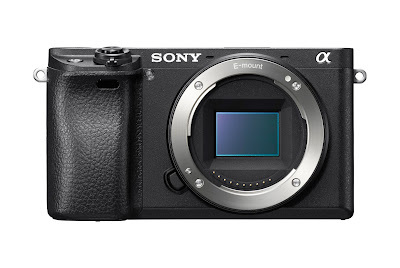 The A6300 has not been released as a replacement to the A6000, but instead as the model above. It will be the flagship mid-level mirrorless to rival the Nikon D500 and the Canon EOS 7D Mark II. Starting at a price of around £999, it is very well equipped. The new key features - 4D focus, world’s fastest AF and High-density Tracking AF, along with new 8fps shooting on live view, and a 100fps refresh rate in the EVF, make this camera a very formidable entry to the mid range. Unfortunately, we didn’t have a rally car, like they had in the video, to test the 4D focus, but from the information given to me, and what I saw, focus pullers need to keep an eye on their jobs. In the video, various rally cars drove straight at the camera and the closest part of the car stayed crystal sharp, even when power sliding round a bend. It was so smooth. No fuss. No Bother. Very impressive. There was also a very comprehensive video explaining and demonstrating the High-density Tracking AF. The film featured a dog running on the beach and the AF tracking it as it crossed the screen. The key part of this was that as the dog moved, whichever section of the screen it was in, a selection of the 425 focus points activated and increased the area 10 fold. It looked like a swarm of bees surrounding the dog in a perfect rectangle. It even highlighted the most important part of the picture - the dog’s face - and kept it in 24.2MP goodness the whole time. Regarding those 425 focus points, that is the highest by far of a camera in this range. 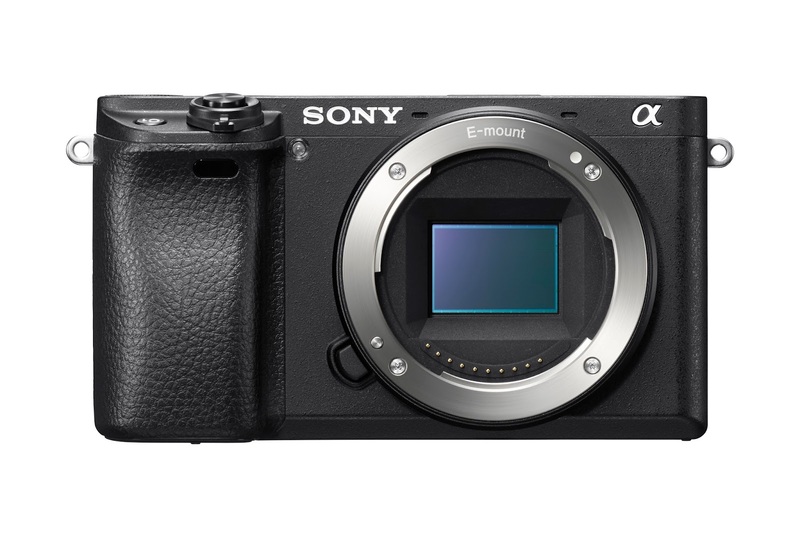 It has an 84% coverage on the sensor - something DSLRs can only dream of - and can also be used with the Sony LA-EA3 A-mount adapter and Sony A-mount lenses, which is good news for all you Alpha users thinking of upgrading. On to the EVF. 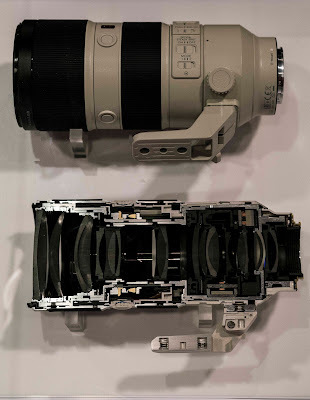 Essentially it is the same EVF that you’ll find in the Sony A7RII. Which is a vast improvement on its predecessor. This is not to say that the EVF on the A6000 was terrible - far from it, but with the 100fps refresh rate, you can really see how smooth it is when you pan from left to right. Then comes the 4K, which is pretty much the same as that on the A7 series, incorporating 100fps High Speed Shooting and a 20MP overlay, essentially making the final product 6K. Sony is really showing their video knowhow with this latest set of cameras. They really understand that the two markets are now one, and most people use the one camera for both purposes. My final thoughts are that this is a very impressive piece of hardware - enough to rival, if not beat, the competition in every department. It’s small, fast, powerful, and at the forefront of mirrorless technology. It has integrated some really interesting new features and hasn’t compromised itself from its younger brother the A6000. Some form of this camera has been in production since the start of CSC cameras, right from the Sony NEX-5 to this one. Whilst its rivals change dramatically every year, it’s stayed constant and true, and with every new incarnation, has blown away its competition. And it’s done it again. If there was one thing lacking in Sony’s full frame market entry, it was lenses to rival those from Nikon and Canon. The range of lenses, although very good - the 55mm in particular - didn’t have the key big hitters that it’s rivals had, until now. Step forward the G Master series. These first 3 lenses are at the pinnacle of where Sony wants to be with its lenses. As I watched the demo videos showing just how impressive they were, I had a little voice in my head telling me that how, how could they be as good, if not better than 2 of the best selling lenses on the market? Then I got to use them. Well two of them, as the 70-200mm f2.8 was the only working one in the country, so it was just look and no touch. They were the same lenses as the f4 versions - same body, similar weight. But, as in all the new lenses, it’s a key feature that set these apart. Called the XA lens, it is this that is the impressive part: Sony looked at its rivals and tested and researched them extensively, and created the XA lens - a lens that has a 0.01-micron thickness across the surface of the lens. This means there are hardly any imperfections, and the ones that remain are so small that they don’t even register on the image. Two ideas inspired the creation of these lenses and they were High Resolution and Smooth Bokeh, and after an afternoon spent playing, I think they’ve nailed it. The 24-70mm and in particular the 85mm are gorgeous lenses, and such a joy to use. 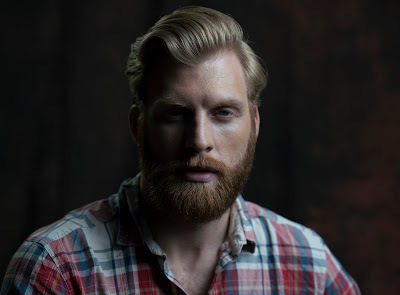 We had three models to shoot with: a lumberjack, a girl, and an ice queen. After shooting with them for an hour and a half, I completely fell in love with the 85mm. It was so sharp and the bokeh was so smooth - it was perfect. The 24-70mm also performed very well, as you would expect. Not too much distortion, a nice zoom, smooth zoom action, really nice at the 24mm. A great mid range zoom to use, and the lineup has been crying out for it. But it was definitely the 85mm that won the day for me. Combined with the A7RII I was just blown away. THE lens for THAT sensor. Sharpness to rival Zeiss, for a third of the price. They also now lead the market in full frame ready lenses - 20 to be exact, compared to Nikon and Canon’s ranges. So as the day ended and we were once again whisked off to the airport to catch our flights home, I couldn’t help but be very impressed and excited about what I had just seen. Dare I go through the finances to see if it was possible to acquire these amazing products? To completely switch? Sony A7SII, A7RII, and A6300 and lenses to replace my Nikon horde? And I love my Nikon horde. 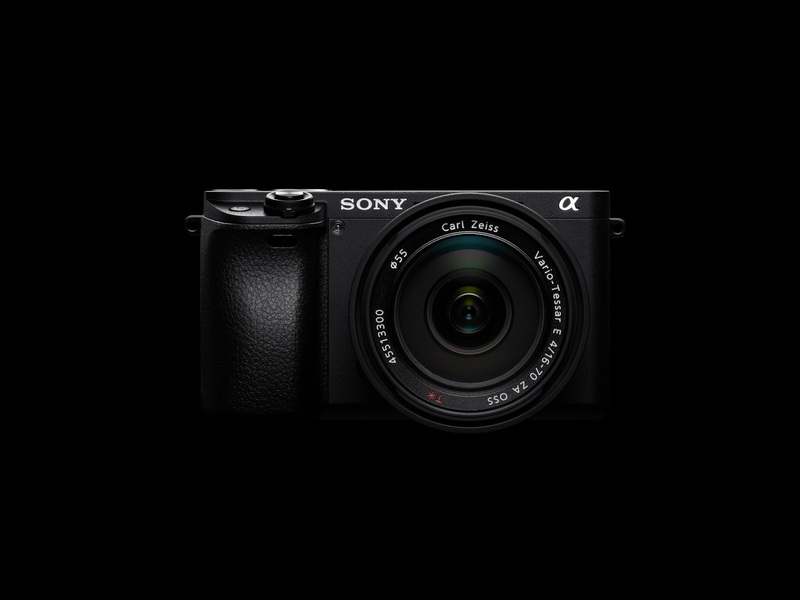 So, if you feel anything like I do about this news and are considering switching to Sony, you can pre-order the Sony A6300 and G Master lenses via our online store, by calling our expert team on 01444 23 70 70, or emailing sales@parkcameras.com. Sony launch the stunning new A7R II with 42MP full frame sensor! I am going to buy the A6300, but will wait for the dust to settle and a reduced stable price to emerge once all the fuss has died down. A6300 is stand out awesome. Additional: I wrote this article and now I own an A6300.